Coming soon. 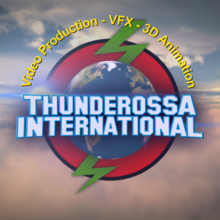 The world of thunderossa! International DIY musician &amp; composer KC Taylor is taking his knack for storytelling to a new level with film and 3D animation. Walt Disney, Quentin Tarantino, Martin Scorsese, Michael Mann, and many other great storytellers. Special thanks to Andrew Kramer for amazing VFX tutelage. Too many to list in all genres. thunderossa has not liked any films yet.